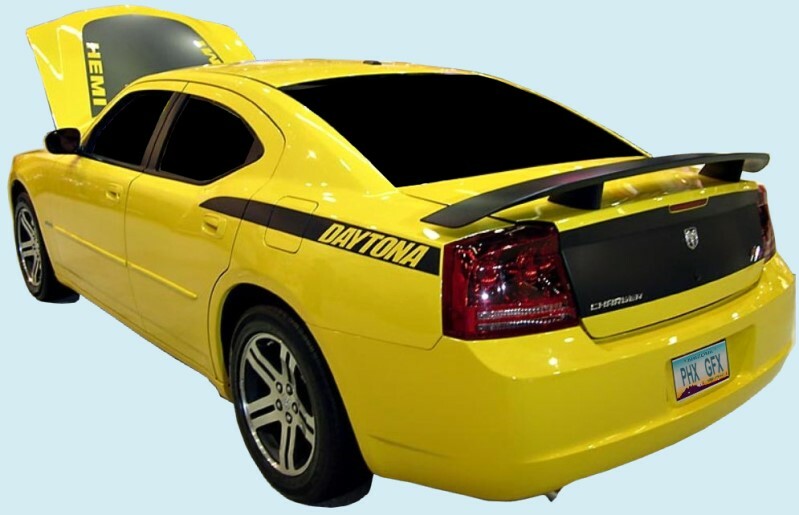 This 2005-09 Dodge Charger Daytona-style Upper Rear Side Stripe Kit is manufactured to meet or exceed OEM stripe/decal standards. Your new or nearly new muscle car deserves the best stripe kit on the market. Our Dodge Daytona-style Upper Rear Side Stripe Kit stripe and decal kit will definitely enhance your Charger.